The free backup solution for PC with professional functions! Paragon Backup & Recovery Free Edition is a time-tested backup and recovery tool. With it, you will have full control over the security of your system and data. Based on solid commercial backup and recovery software from Paragon Software, Backup & Recovery Free Edition will give you a rich set of features that you can trust. Free Edition can easily create an exact copy of your hard drive, including the operating system, applications, user settings, and all data. Differential backup will allow you to make a backup of only the changed data, thereby speeding up the process and considerably saving the backup storage space. You can place a backup image to a special secured place on the hard disk and get additional level of security to all archives which it contains. Paragon Backup & Recovery Free Version also helps you to choose any backup destination - including external storages, CD/DVD/Blu-ray discs, network as well as the secured hidden partition. You'll be able to return the computer to a previous state without losing data and reinstalling and reconfiguring your programs just in one click any time you need it. Restore fast an entire disk, separate partitions or only files you need from the previously Created Backup Image. Even more, you can use Restore with Shrink option - to restore a backup image to a free block of smaller size taking into account only the amount of actual data of the image. You can also create a bootable USB Flash Drive to recover your PC on demand and much more. 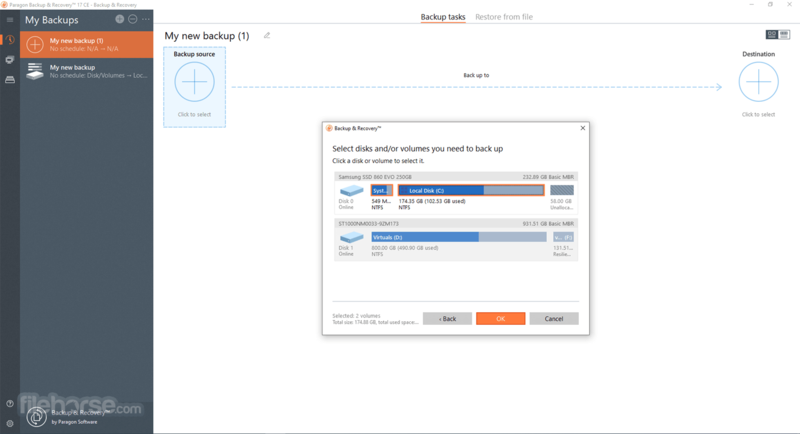 Protecting data today with Paragon Backup & Recovery Free Edition ensures a safe recovery tomorrow, so start your backups now. Complete Backup - create an exact copy of your PC including the operating system, applications, user settings and all data. Differential Backup - backup only changed data. Backup Scheduler - plan your regular backup. Complete Restore - restore your computer to an earlier state without losing data, reinstalling and reconfiguring your programs. Recovery based on need - an entire disk, separate partitions or specific files. Create bootable rescue media with Recovery Media Builder. 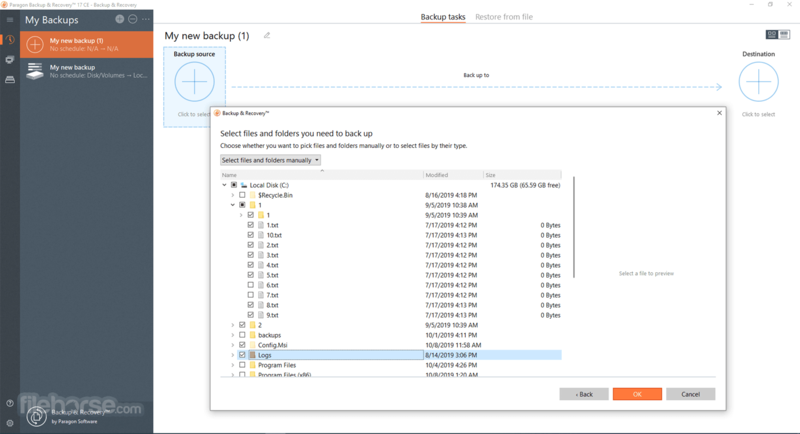 Backup Capsule - place a backup image to a special secured place on the hard disk. Various backup media - backup to external storage, CD / DVD / Blu-ray discs on the network or in the Backup Capsule. Rescue media Configurator - create a bootable rescue media to boot the system in case of emergency. Partitioning - create, format, delete partitions, assign / remove drive letter, set acrive / inactive. Operations with Archives - create bootable archives, mount, unmount, add and delete archive to/from database and others. Revised User Interface - the interface enhanced by predefined views, which enables to adjust particular customer needs.